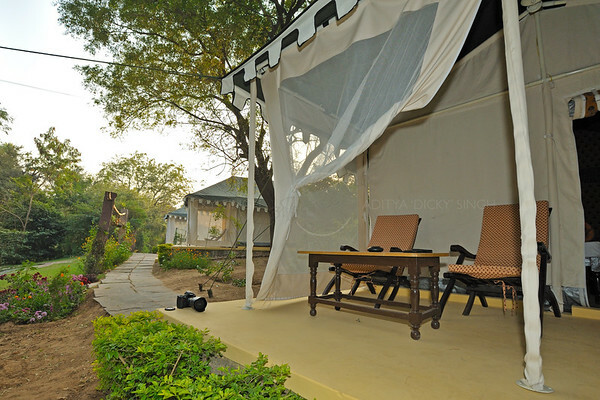 The Ranthambhore Bagh, is a 48 bed hotel for serious wildlife and nature enthusiasts. We have 10 twin bedrooms and one family room with 4 beds. 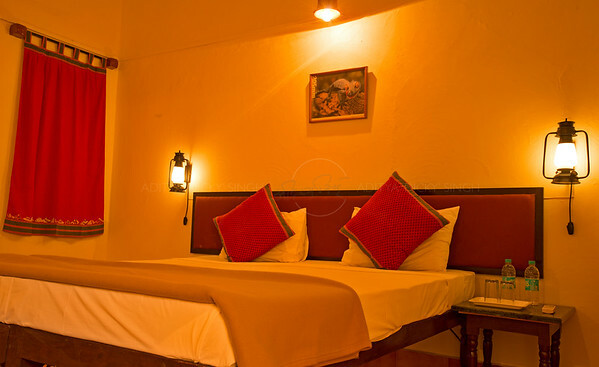 The rooms are basic, spotlessly clean, air- conditioned and are furnished using all local design elements. We also have 12 twin bed luxury tents, which are pitched on a beautifully landscaped garden. These are not your regular camping tents. They are the kind of tents that the Indian royalty used when they camped out. The only difference is that we have incorporated all the modern amenities that one expects these days, such as electricity, running hot and cold water, heating and cooling. "Thank you for making your lodge my home away from home and all the wonderful evenings we had together." Theo Allofs, Nature photographer, Yukon, Canada. All the rooms are located on the first floor of our main building. The reception, library, the lounge and the office are located on the ground floor. The tents have been pitched on large rolling, tree-covered grounds. There are two large lawns in the front and the back of the main hotel building. Besides these, the tented area has a feel of one large garden. "Warm campfire, very warm welcome, excellent food, helpful and friendly staff. Thank you for a holiday of a lifetime." HMS Cumberland, Royal Navy "The Dirty Dozen". 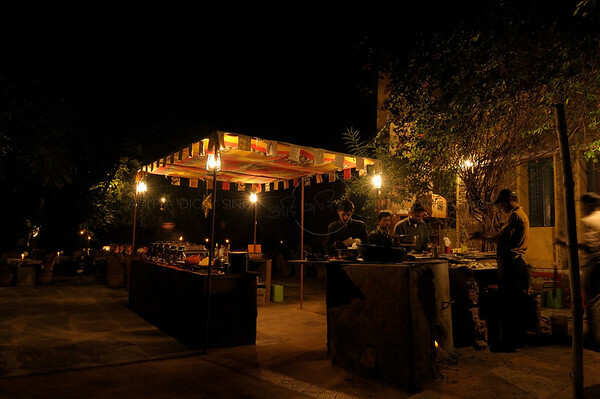 In Ranthambore, we have a reputation for serving excellent food. We have a regular dining area but also serve food in the garden, so that you can watch the Magpie robin in action while you have lunch. We have a fixed menu for all our meals, mainly Indian and Continental dishes. We do not take individual orders for meals but can redesign our buffet to suit your taste and requirements, provided we are given enough time.